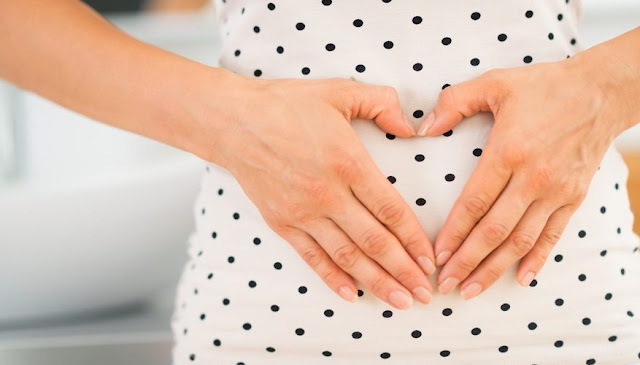 Being pregnant- if you haven’t witnessed then I am sure you will never know how it feels like to sense something growing inch by inch inside you. It gives immense pleasure and love to witness that something a part of you is growing everyday within you. You and I can never imagine the affection and the happiness behind it until we go through the same dilemma. Pregnancy along with bunch of happiness does get something which I am sure ladies of the ‘modern’ era hate to get I.e. Weight Gain. A lot of weight is gained during these 9 months, which is the end result of all the love, affection and to be more precise pamper. Women are pampered a lot during these 9 months. The weight gain is frustrating at times as the women have to balance her weight as well as the weight of the fetus as well. And what is more frustrating and irritating when you don’t fit on your best dress. That’s cause for more mood swings that takes everyone for a toss. And when you stand in front of the tinsel town mirror to observe your not so good body, then you almost get a mini heart attack by seeing various physical changes your body is going through. Your facial hair grows like never before and you feel so absurd while standing in front, and you will just want to scream. But all these stress, anger, frustration goes into the hole when you feel the kick of the baby. The mind feels so relaxed and you want the things to have a recap again and again as this is the only way to communicate with the baby and to get a response from within. The major changes occur is the changing of the shape of your tooth and mouth. Since the child needs extra calcium during the time of the development of the embryo, so it steals it from the diet of the mother. So it must be kept in mind that the diet should comprise of all essential nutrients, vitamins and minerals. The best way to enjoy your pregnancy days is to let go all stress and just enjoy the moment as these happiness will never take a recap because every time it is different.